JM: I wanted to start by asking how you decided on “Prick of the Spindle” as the title of your journal. Obviously there is the fairy-tale, Sleeping Beauty connotation, but what do you like readers to associate with it? As an aside, We get asked every other day what jmww means. At one time it meant something, but now it doesn’t mean anything, just initials, and sometimes we capitalize it (JMWW) and sometimes we set it lowercase (jmww) so there are no assumptions about feminine or masculine aesthetic. I like that aura of mystery, because we are really just about good writing, regardless of genre. We’ll publish a well-crafted detective story alongside experimental fiction. CR: There were a few considerations at play when I chose the name. I wanted something that stood out, that had a deeper meaning, and that was lyrical. Those three elements are key to me when reading and selecting work for publication. The further meaning to the name holds up the idea that at the heart of a work should be something that causes or creates change–it speaks to the crux or turning point of a piece, and this doesn’t even have to be something obvious that happens. It can be as subtle as the personal revelation of the character in a work, or a shift in a poem after which nothing else is the same. When Sleeping Beauty pricked her finger on the spindle of the spinning wheel in the fairy tale, she was both fulfilling a prophecy, or more accurately, a curse (something beyond her control or will, which speaks to fatedness or the universe, whether on a literal or metaphorical level) and she performed an action that would have lasting effects on her own life and the lives of those around her. When I read submissions, I look for something that is, to a degree, aware of itself (and I love metafiction) in the sense that it recognizes change, development, or redirection in the subject or characters. I’m looking for lyricism too, in poetry especially, but also in prose. It’s a rare enough narrative that employs a lyrical lilt. It’s for the latter reason that I adore prose like Annie Dillard’s in The Maytrees. I appreciate that you are both gender- and genre-neutral. We strive for a similar aesthetic–that of solid, unique, or interesting writing. I’m curious about how you set about starting jmww. What led up to your decision to start a literary journal, and what was your original vision for the journal? Has it surpassed your expectations? Has your vision changed over time? JM: In 2004, I had been out of school for a few years and missed the connection I had with other writers, so I thought about doing an online journal because it seemed inexpensive and easy (on an aside, Dave Housley from Barrelhouse was in the same program I was, so it’s funny that we both wound up starting our own journals around the same time. Of course, Barrelhouse is HUGELY successful). Also, there wasn’t a huge scene in Baltimore then, so I thought if I started a journal I might be able to meet other writers not only on the Internet, but in my own area. So a friend from school, Catherine Harrison (jmww’s senior fiction editor), and I started jmww, or, at the time, Journal Managed by Wicked Women. My knowledge of HTML was very basic (check out some of the old issues in our archive), and the first issue featured three stories—one by me, one by Catherine, and one by Geoff Nelder. I remember being really impressed with other journals at the time—the now-defunct-but-great Small Spiral Notebook, Paumanok Review, and No Fixed Genre, and of course Summerset Review, Word Riot, and Lily, and they were our models, i.e., quality writing regardless of genre. The journal has helped me connect with Baltimore writers in a big way—I’ve organized writers’ happy hours with Gregg Wilhelm of CityLit Project and met a lot of people, including Michael Kimball, who had just moved here from New York. We started a reading series together in 2008, The 510 Readings, which not only spawned a lot of other quality series, fiction and nonfiction, but I think really made Baltimore a destination for writers to come read. We’re especially proud of that. I’ve also used my connections with jmww to teach community-level writing classes and also speak to graduate classes about the need to take the initiative in publishing, whether it’s your own work or your own idea for a journal. And the journal has grown so much—we publish an annual print anthology now and have a blog, we have launch parties and readings with other journals, we attended our first AWP conference earlier this year. But there’s so much we’re still working on, such as getting onto Twitter and making our catalog of anthologies available as eBooks and setting up podcasts, all of which you already do, in addition to running Aqueous Books! It amazes me, because you do it all with like half the staff. I’m so envious and proud! And curious–What can readers and authors expect from the journal and publishing house next year? Or is it a secret? CR: As far as how Prick of the Spindle and Aqueous Books are moving forward in the year ahead, we are waiting on the approval (I remain optimistic; there was recently quite a bit of back and forth of documents and paperwork between the IRS and our lawyer) of our 501(c)(3) application and therefore we have grants on our radar. Of course, securing funding will mean the ability to act upon some of our larger-scope plans, which are mere seeds of ideas at the moment, and therefore too nascent to share. But some of them will have a community focus. At Aqueous we have quite a slate of books in the pipeline, all of which are on the website, and then of course, Prick of the Spindle has its first print edition releasing this fall (Issue 1 will debut in October, and already has quite an impressive roster of authors; also, it will be very thick). But probably the deepest we’ve reached into the community so far has been with our recent partnership with the Pensacola Little Theatre, which produces an impressive array of plays every season, from Willy Wonka to The Rocky Horror Picture Show to other fare like How to Succeed in Business without Really Trying… The directors agreed to partner with us to produce the winning play from our youth drama competition (“Echoes,” by Monique Hayes). Monique hails from Maryland, but she flew here to attend the world premiere, and it was incredibly rewarding to know that I’d helped in some small way in bringing the written word to the stage. Experiences like that remind me why I do what I do, and I know you can relate with The 510 Readings. It feels like effecting change, or making a difference, or contributing to the social good on some level, and the feeling is great because it’s a feeling of giving to the culture you love. Hosting a regular reading series is really a great way to branch out into the community, and I admire that you’ve done that with such success. We’ve done readings here and there but nothing on a regular basis, though I think that has to do largely with the size of the town I live in (smallish but up-and-coming), and the fact that most of the writers in my network are part of the online community and therefore pretty regionally scattered. As you know from your own connections, some of those contacts are international. So I’m glad to have started as an online journal and grateful that I live in a day and age where I have a worldwide community network at my fingertips, something that only a select few literati had once upon a time. About, say, 100 years ago, one would travel, or expatriate, or with luck and great connections, become part of a literary circle–most of which would presume the availability of the resources to fund such endeavors. Now, we can branch out into the virtual community and engage intellectually without leaving the comfort of our homes, and all at relatively little cost. I’m still in awe of it. It’s interesting that you mention having started jmww with a sense of wanting to reconnect with other writers. What better way to make that connection than to work as an editor, after all? I can relate to and understand that. I think, as editors overseeing all aspects of the journal’s production, we also tend to look at the big picture, so we think in terms of what’s ahead as well as where we started. Correct me if I’m presuming wrong (this is all leading up to my very “Where Are You Going, Where Have You Been”-type question). What are the aspects you have found to be the most rewarding along the way (that’s not intended to be a loaded question, ha!)? Where do you see jmww in the next 10 years? JM: Definitely the other authors, editors, the sense of community has been why I do it. I’ve met hundreds of people in person, online, and at conferences who just share a great passion for literature and want to reach as many people as possible, to infuse that passion into the community and hope that others experience the same joy we experience. One thing we probably won’t do is become a nonprofit. It’s not because we make a profit (I don’t), but because I’m not sure the advantages outweigh the disadvantages at this time. It’s hard to know what 10 years will bring. We are 7 this year, so it’s coming up sooner than we think, but sometimes the journal feels very year-to-year for me. There may be a time very soon when I can’t handle the responsibility of running it, but I’m hoping one or more of our editors from within would want to step up and give it a shot! Or maybe we could have a contest—win a literary journal! But whatever happens, I’m not disappointed in our run. In fact, I’m very proud of what we’ve been able to accomplish, for a project that kind of started out as a lark, a hobby. One thing I want to ask you about is, it seems when you become a journal editor, it supersedes everything else. I think 95% of people think and refer to me as “Jen Michalski, the editor of jmww,” as opposed to say, “author Jen Michalski” or even “Jen with the big hair.” There seems to be a certain sacrifice, at least regarding your own career, that you make as an editor. Do you share that experience? Also, so that I won’t make a similar mistake in saying “Cynthia Reeser, editor of Prick of the Spindle,” I was hoping to learn a little bit about your personal projects. CR: I’m only half-joking when I say I’m on a time-management plan. Running a journal and a publishing company is a time commitment, as is writing or art, so for me getting anything accomplished is about being as organized and tenacious as possible, especially when it comes to maintaining consistency in the work flow. You just have to stay on top of everything and be relentless about it. I wrote three books that released in 2010–Light and Trials of Light (poetry, Finishing Line Press), and two nonfiction books, one on writing and publishing for children, and the other on publishing for the Kindle (both from Atlantic Publishing). I’m ghostwriting a book right now as well as always looking for time to squeeze in painting and my own writing, and then I also work as an editorial liaison for several scientific nursing journals and write reviews for (most) quarterly issues of Prick of the Spindle. So it’s sometimes a delicate balance. But you know what that’s all about… What about your projects? Do tell. JM: Excellent! I was fortunate to be able to take a two-week writing residency this summer in the Georgia mountains, where I finished my novel (The Tide King) and started about 50 pages of a new one, Rabbits Singing. I’ve always maintained that I could write fairly well on nights and weekends in-between issues of the journal and on non-reading series weekends and after work (I’m a full-time freelance medical copyeditor) and when I wasn’t interviewing other authors at The Nervous Breakdown and when I wasn’t teaching classes, but then, working for 2 full weeks on nothing but writing, I became very distressed when I came home about what little time I did spend on it, on myself, and how much more I could accomplish if I didn’t spread myself so thin. So I’ll be doing some soul-searching next year about what projects are most important to me. But I agree; you have to have an MFA in time-management to do our jobs! Cynthia Reeser is the Editor-in-Chief and founder of Prick of the Spindle and Publisher of Aqueous Books. Her poetry, fiction, reviews, visual art, and articles can be found in a variety of print and online sources. Her books include Light and Trials of Light (Finishing Line Press, 2010), a nonfiction book on publishing for children from Atlantic Publishing, which was a finalist in its category in the 2010 Indie Book Awards, and a book on publishing for the Kindle (Atlantic Publishing). Her visual art and a full curriculum vitae can be found at www.cynthiareeser.com. Jen Michalski’s first collection of fiction, CLOSE ENCOUNTERS, is available from So New (2007), her second, FROM HERE, is forthcoming from Aqueous Books (2013), and her collection of novellas is forthcoming from Dzanc (2013). Her novella MAY-SEPTEMBER (2010) was published by Press 53 as part of the Press 53 Open Awards. 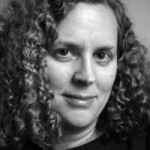 She also is the editor of the anthology CITY SAGES: BALTIMORE (CityLit Press 2010), which won a 2010 “Best of Baltimore” award from Baltimore Magazine. She is the founding editor of the literary quarterly jmww, a co-host of the monthly reading series The 510 Readings and the semiannual Lit Show in Baltimore, and interviews writers at The Nervous Breakdown.